Lagos is a charming and historic city that makes for a fantastic holiday destination. 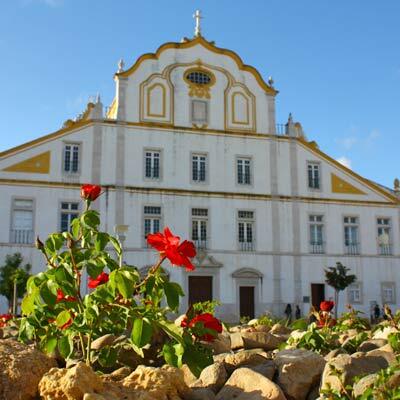 The city is situated on the beautiful western Algarve, a region of dramatic natural scenery, vast sandy beaches and powerful Atlantic seas. Lagos has developed responsibly into a popular tourist destination, which offers modern tourist facilities, while still retaining its distinctive character and heritage. 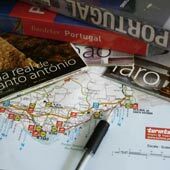 This article will detail a suggested 1-week itinerary for a holiday to Lagos, Portugal. The following is our suggested 1-week tour of Lagos, and is the itinerary we follow when we show the city to friends and family. 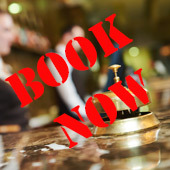 The tour provides a selection of day trips and activities, which are suitable for a range of ages. All of the above day trips are possible to reach with the use of buses or trains, and public transport in Portugal is inexpensive, if sometimes slow. The next section will explain in depth this 1-week tour. For the first day, it is suggested to explore the historic centre Lagos and then in the afternoon visit the fascinating cliff formations of the Ponta da Piedade headland. Lagos’ history has been closely tied to seafaring, initially as a fortified port controlled by the North African Moors, and later as a centre of exploration and trade during the 14-15th centuries. Both periods have left their district mark on the city and this is reflected in the variety of sights in Lagos, which include the solid city walls, a delightful fort, ornate churches and even a former slave market. The Ponta da Piedade is a series of highly weathered cliffs that form the headland south of Lagos. 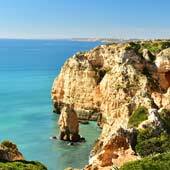 The powerful Atlantic Ocean has chiselled stone arches, grottos and sea caves into the colourful sandstone cliffs, and these cliffs are considered the best natural feature of the Algarve. The Ponta da Piedade can be explored from cliff tops, but a more enjoyable method is a join a small boat tour as it weaves between the rock formations. No holiday is complete without a relaxing day on the beach, and Lagos is blessed with a varied selection of wonderful beaches. There are vast expanses of golden sands at the Meia Praia or Praia de Porto de Mos, or stunning natural scenery and turquoise waters of the Praia da Dona Ana or the Praia do Camilo. All of these beaches are within walking distance of the city centre. For families, there are calm and sheltered beaches with clean sea waters, while other beaches are exposed to huge Atlantic and are ideal for surfing. 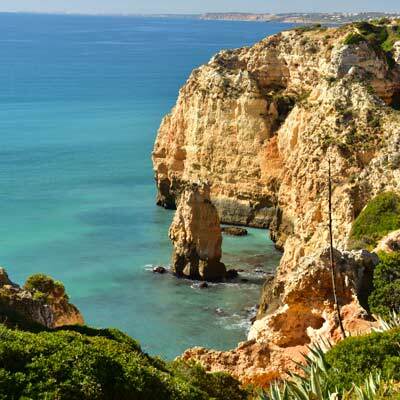 Lagos has some of the finest beaches of the Algarve. 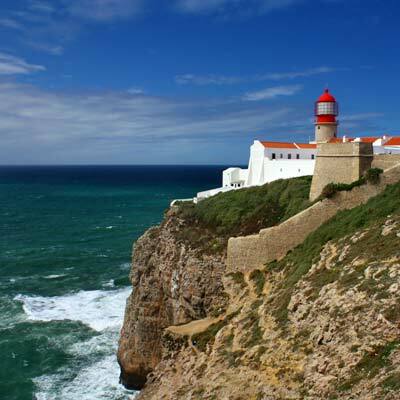 Sagres is situated on the southwestern tip of the Algarve, and is a region of stark and dramatic natural scenery. The coastline is pounded by huge Atlantic waves, and this has transformed Sagres into a respected surfing destination, with an understatedly trendy vibe. Sagres is a destination to visit if you appreciate natures raw power and enjoy outdoor activities, such as hiking, surfing or cycling. In a day trip to Sagres, there are three sections; the Cabo de Sao Vicente headland, the town and Fortaleza de Sagres fort. The Cabo de Sao Vicente is the western tip of Sagres and up until the 14th century the headland was believed to be the end of the known world. In the town is the working fishing harbour, the beautiful beach of Praia da Mareta and a selection of surfing cafes and bars. 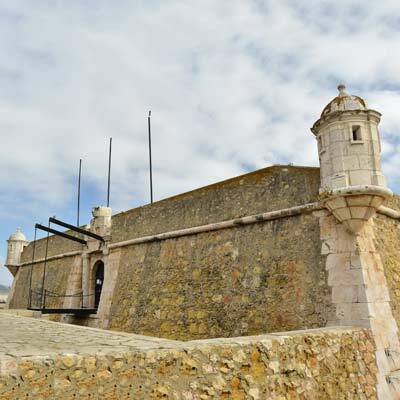 Fortaleza de Sagres is a unique fort, as three sides are protected by sheer cliffs. There are direct buses from Lagos to Sagres, but there is a very limited service to the Cabo de Sao Vicente. This day has a range of different activities and the choice depends on the style of holiday you are seeking. 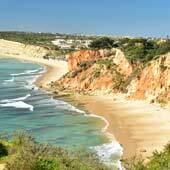 The suggestions are; a day trip to the small but incredibly charming village of Burgau, a boat tour with dolphin watching (family activity), or for the more adventurous a kayak tour around the Ponta da Piedade. 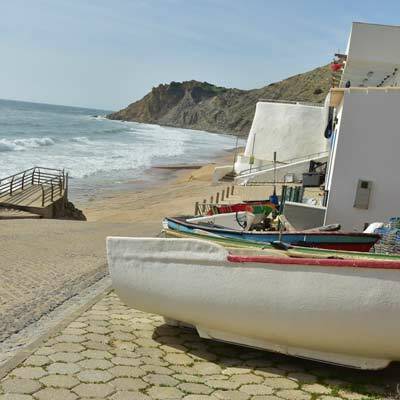 Burgau is a sleepy fishing village, and is one of the most traditional and authentic locations in the Algarve. There are narrow cobbled streets, fishing boats are pulled onto the beach and locals gossip over a coffee in the cafes. 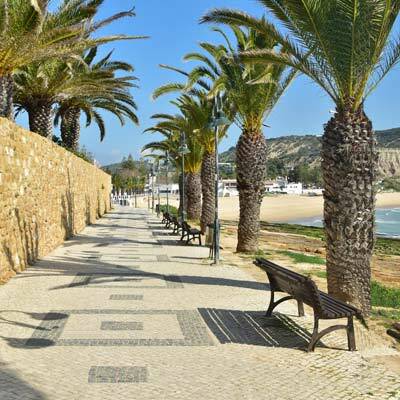 Burgau is small and not for all, but if you have an interest in experiencing what the Algarve was like before tourism, then you will love Burgau. The Algarve coastline is a migratory route for dolphins heading to the warm waters of the Mediterranean and the food rich Atlantic Ocean, and there are daily sightings of pods of dolphin in the seas near the Algarve. These boat trips often provide a tour of the coastline and a highlight is the Benagil Cave (only small boats can enter). There are countless tours which can be organised from Lagos marina, but typical prices are; Benagil cave 100min tour €40, Dolphin Watching Boat Trip 100min €40 or Ponta da Piedade small boat tour 75min €20. 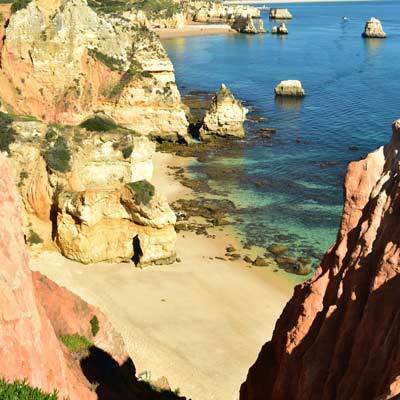 The alternative activity is a kayak or stand up paddleboard (SUP) tour of the Ponta da Piedade cliffs. These tours are able to navigate the grottos and caves, and are the best way to explore the headland. Again, there are many options but a typical 120min kayak tour costs €30 and a SUP tour €35. Within the central Algarve region there is a selection of excellent theme parks and water parks; two of the best are Zoomarine and Slide and Splash. Zoomarine is part wildlife park, which specialises in marine life (dolphins and sea lions) and part water park, while Slide and Splash is, as the name implies, a water park with some of the Iberian Peninsula’s most extreme water slides. Both parks provide transport from Lagos and tickets (which are expensive) can be purchased from ticket sellers in Lagos town centre. An alternative to the theme parks is a relaxing day on the beach; Praia Porto de Mos has a very different atmosphere to the beaches close to Lagos and is connected by a regular bus service. 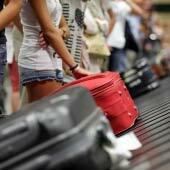 For the sixth day it is suggested visit the historic city of Portimão and the hectic resort town of Praia da Rocha. 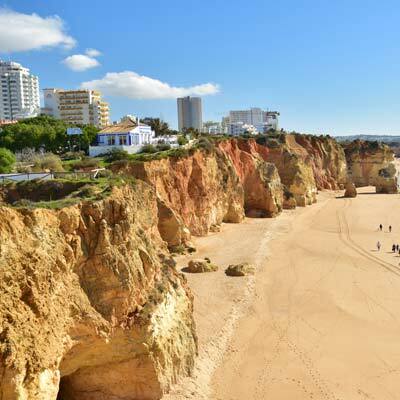 Praia da Rocha is located on a beautiful beach, and the town which has developed is completely devoid of charm, with huge hotels, theme bars and tourist gift shops. Praia da Rocha is loud, brash and the location for a big (and expensive) night out. 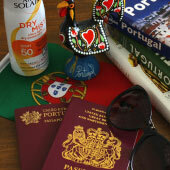 Portimão is inland from Praia da Rocha and is a port city, which has some of the best shopping in the western Algarve. The city centre is surprisingly peaceful and is filled with plazas and pedestrianised shopping streets. 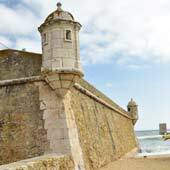 A pleasant walk is from the harbour of Portimão around to Praia da Rocha and along the coastline. 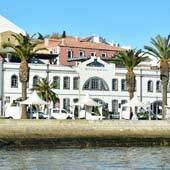 There are direct bus and train services from Lagos to Portimão and it is a short taxi ride to Praia da Rocha from the station. For this day we suggest three different activities which are based around the likeable resort town of Praia de Luz. 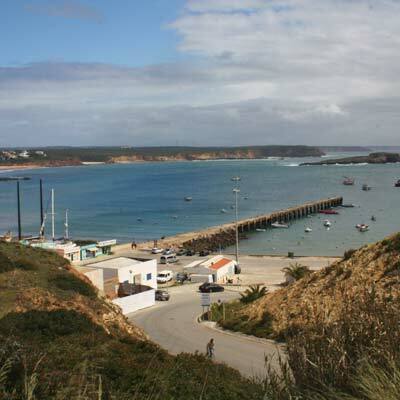 Luz is to the west of Lagos, and has a relaxed and personable atmosphere, and a beautiful beach. 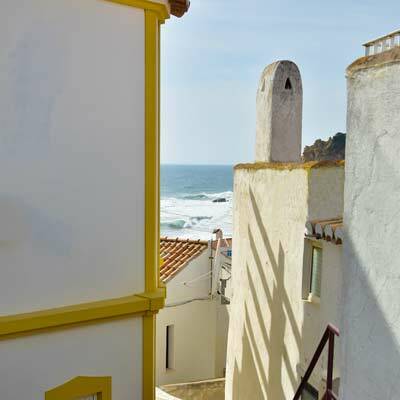 The three activities are, the challenging coastal hike from Luz to Porto de Mos, cycling to Luz along the quiet roads, or simply having a relaxed day on the beach. Praia de Luz can be a great destination to cycle to, and the roads of the western Algarve tend to be free of major traffic. The round trip from Lagos to Luz is 15km, and bikes can be hires for €15 per day. The cycle route can be extended to include the fishing village of Burgau and the pretty resort of Salema, and this is approximately 30km. 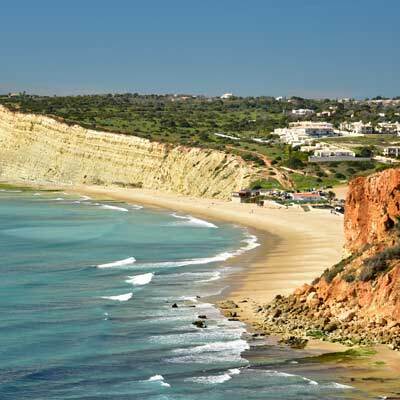 From Luz there are two coastal hiking trails, either east towards Porto de Mos or west to Burgau. These routes offer climb steep cliffs and are a challenging hiking experience, but do offer stunning views and pristine countryside. For those looking for a longer hike (4 hours) can walk from Burgau to Lagos, which goes via Luz, Porto de Mos and the Ponta da Piedade, and this is a great activity for the winter months.